Earth Day and Placemaking Events! Just a quick reminder that Earth Day, Comcast Cares Day is tomorrow 8:00 - 1:30. Please help us reach our goal of 1,000 volunteers working to make Lawrence a cleaner and greener city through planting trees and flowers, building schoolyard and community gardens, raking, cleaning up, and other beautification projects! Join us for Earth Day, Comcast Cares Day - Tomorrow! Join GWL, the Green Team, Comcast, the City of Lawrence, Mayor's Health Task Force, and many more partners in cleaning up and completing beautification projects across Lawrence. Last year we had 845 volunteers at 25 sites city-wide. Help us reach our goal of 1,000 volunteers this year! Thank you to everyone that came out for the first placemaking workshop! If you were not able to join us you can catch-up by checking out the Eagle Tribune's articles and video, links below. 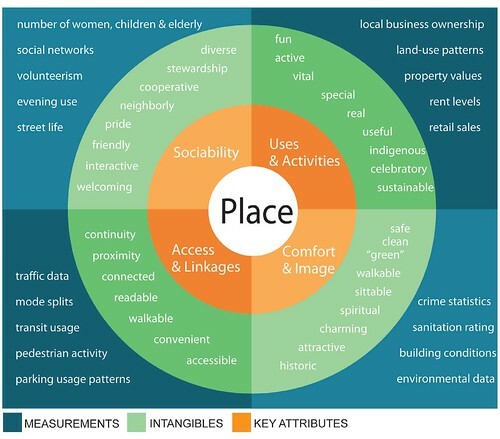 On Monday the Project for Public Spaces (PPS), will be taking us through their Place Game where small groups will be evaluating the 3 areas identified as having the most potential based on a tour of the district and the Power of 10 exercise completed at the first workshop. Neighborhoods Initiative for providing this great resource to the city! We look forward to seeing you in the next few days.